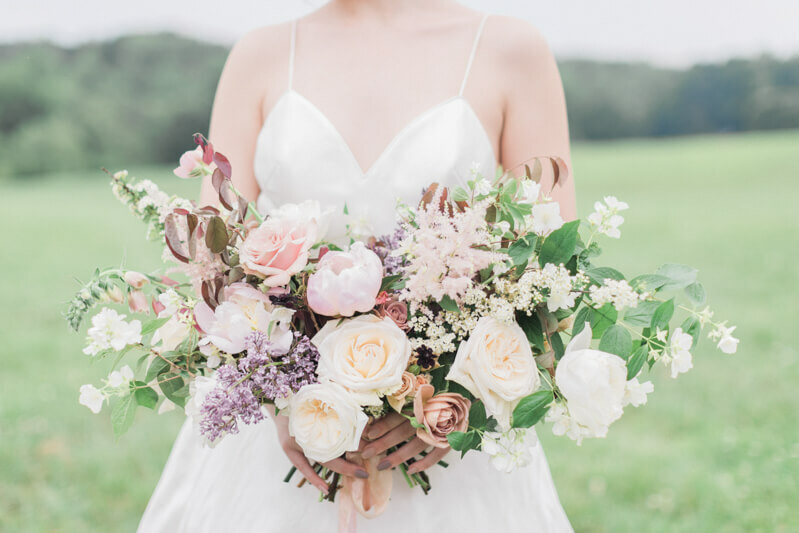 The Meadows Wedding Shoot - Raleigh, NC. 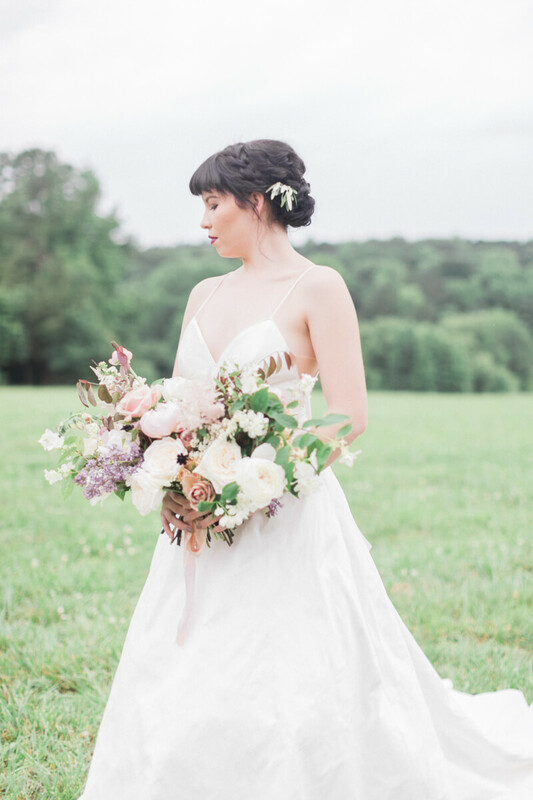 This shoot was a collaboration between a ton of talented vendors at the new Raleigh venue, The Meadows! 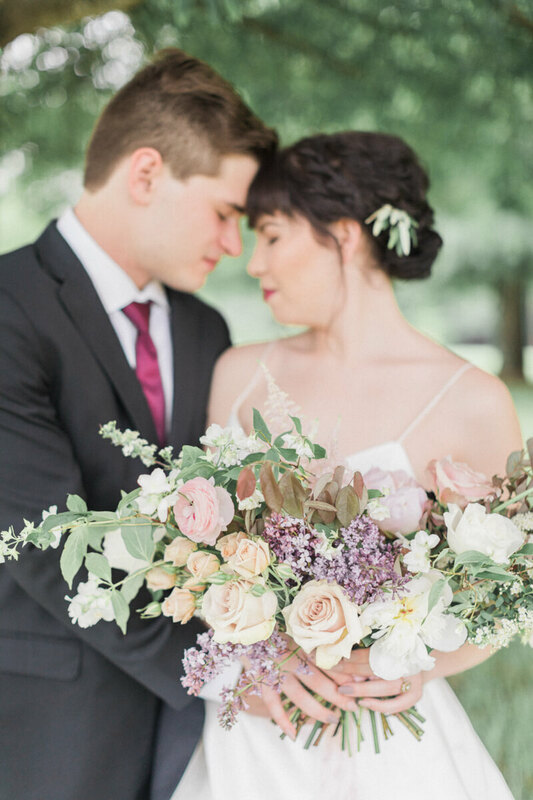 It rain stormed on the day of our shoot, so we pulled together to move things inside and get creative with still getting some outdoor portraits of the couple. 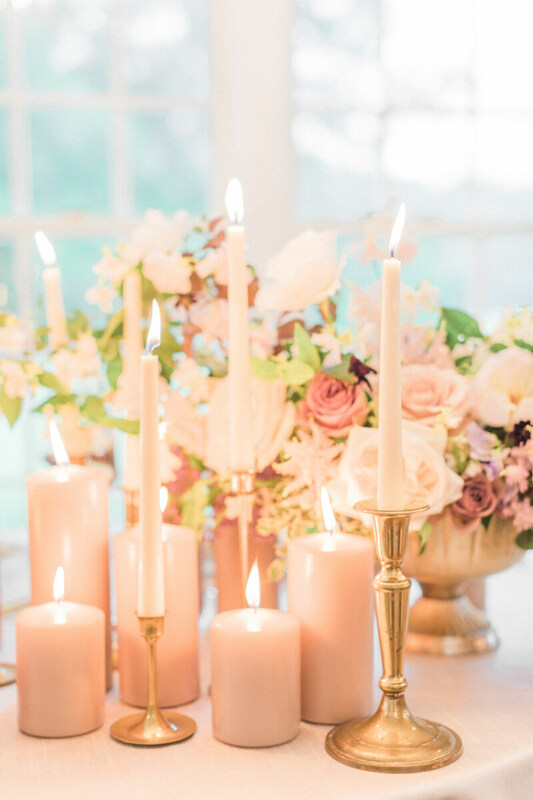 We wanted this shoot to feel romantic and timeless, two qualities that we really love for weddings! 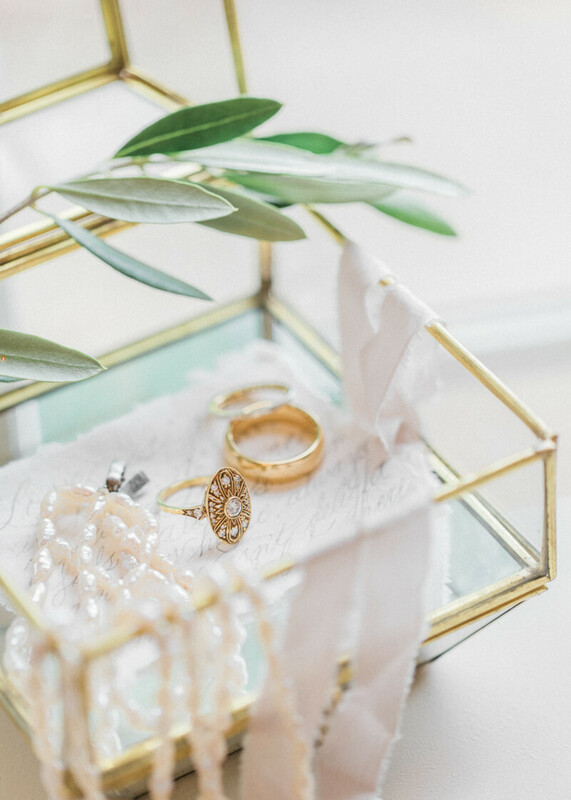 We included a range of ivory, blush, mauve, and green, and featured yellow gold for how classic it is. 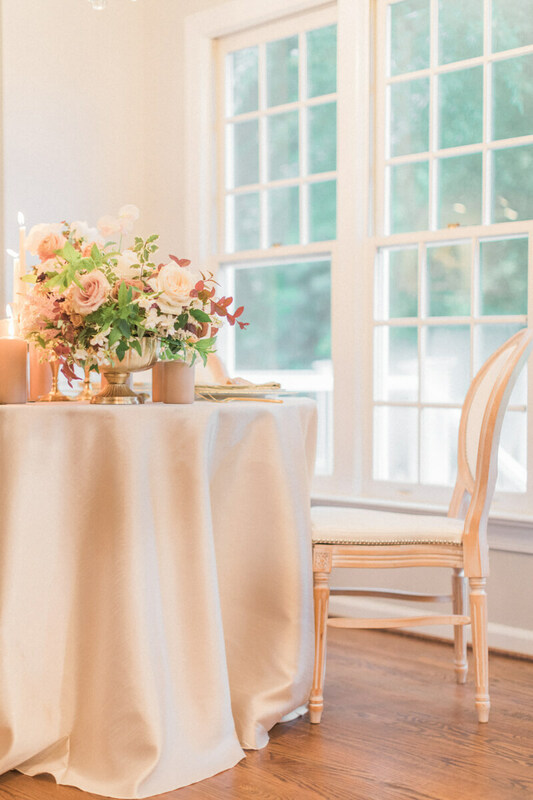 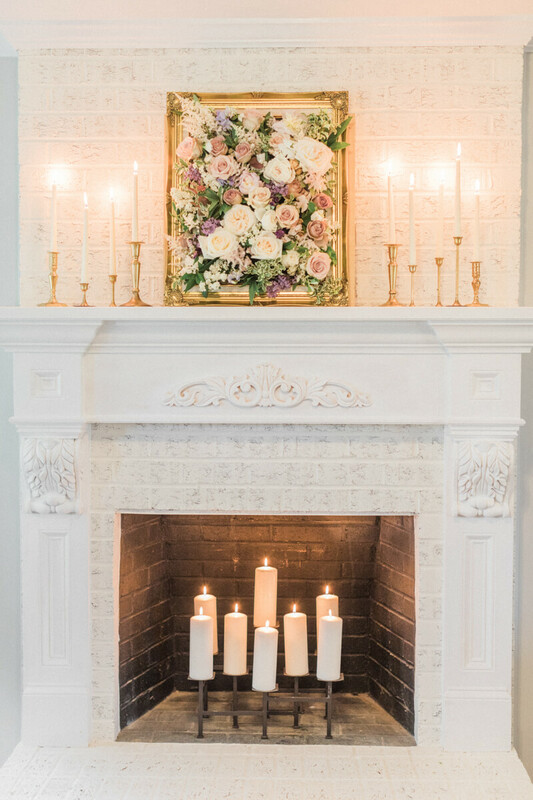 We wanted to show that timeless elegance is always in style, with brass candles, beautiful calligraphy, pearls, and gorgeous loose florals!